If you’ve ever attended an outdoor summer wedding you’ve probably noticed two things: 1.) they are beautiful 2.) they can be HOT. That doesn’t just apply to outdoor venues. Older churches and rustic venues with no air conditioning are notorious hot boxes as well. But fear not! 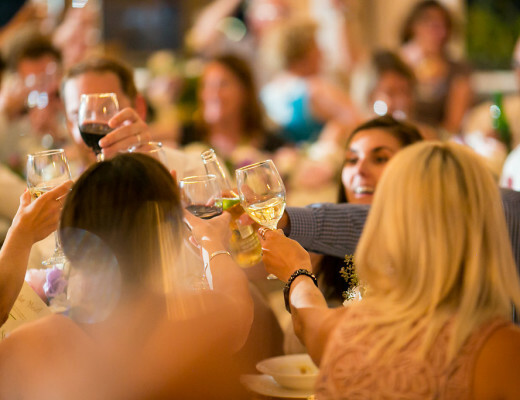 It is possible to keep your guests from melting without sacrificing your wedding vision. 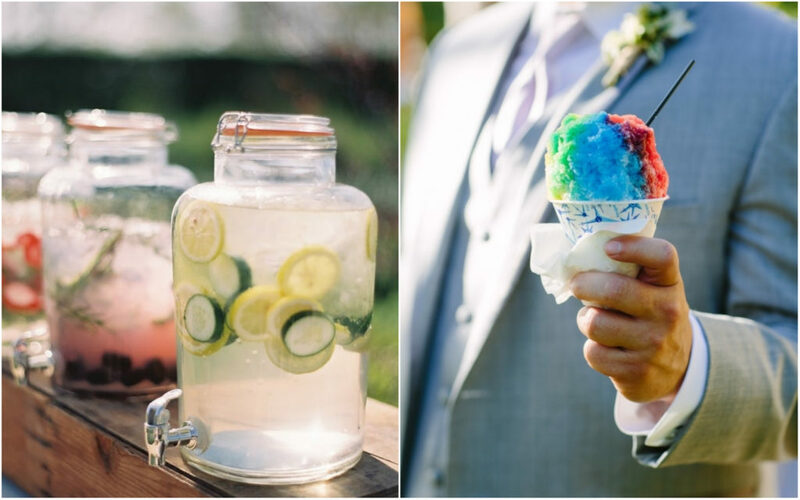 Here are some of our favourite ways to beat the heat and keep everyone cool, calm, and collected at your summer wedding. Set-up a cute welcome station at the entrance to your ceremony that includes fruited water, lemonade, or ice tea. While it may be tempting to bump up the cold beer or white wine offerings, remember that alcohols and sugary drinks dehydrate people faster. Save the good stuff for after the sun goes down. For dessert, swap the traditionally heavy wedding cake for your favourite gelato, popsicles, or snow cones. There are lots of ways to incorporate cool-down methods into your overall decor without sacrificing style. A simple and affordable option is creating a ceremony program that doubles as a fan for every guest. Forgo traditional guest gifts and put together tote bags that include mini versions all the summer essentials—sunscreen, sunglasses, and a bottle of water. Going with a whimsical or vintage theme? 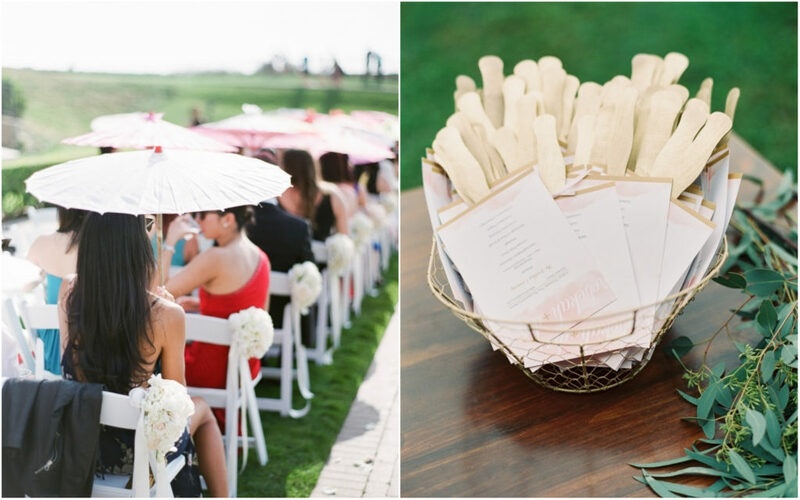 Consider renting decorative umbrellas to keep guests looking cute and comfortable all day long. Let’s face it, no one wants to see sweat stains in their wedding photos. 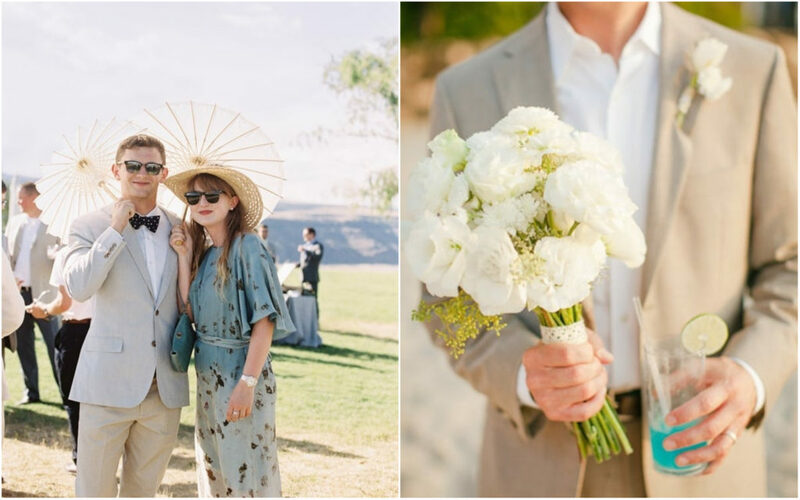 A great way to avoid this is by implementing a more casual dress code—outdoor weddings tend to be more laid-back affairs anyways. Make it clear on the invitations that guests will be outside so they can prepare accordingly. You can carry this through to the bridal party as well. Bridesmaids will appreciate breathable, flowy maxis or short, tea-length dresses in lighter colours. The men can trade suit jackets and ties for trendy suspenders or linen vests. 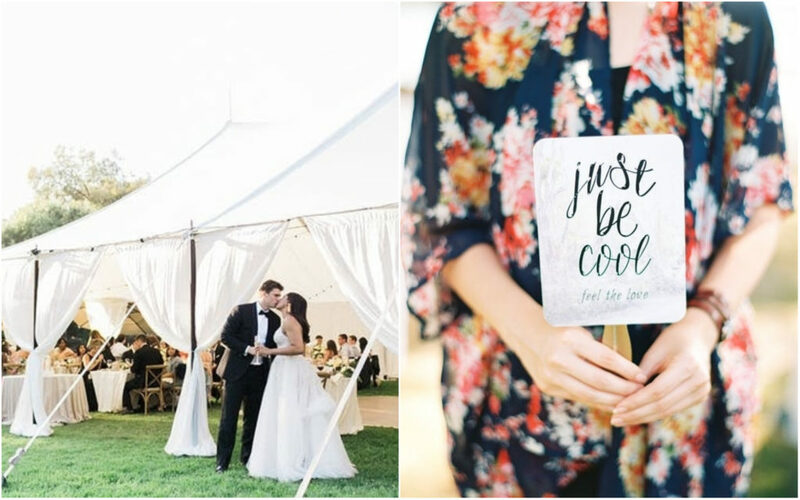 If you’re dealing with a real record-breaking scorcher on your big day, paper fans and popsicles may not cut it. Heat exhaustion is a serious medical condition and you don’t want anyone leaving your wedding in an ambulance. Worse comes to worst, have an indoor option on standby. If you don’t want to give up your dream of an outdoor wedding, rent a tent and industrial misting fans to keep things cooled off. You’ve Got The Ring, Now Get The Wedding Planner!